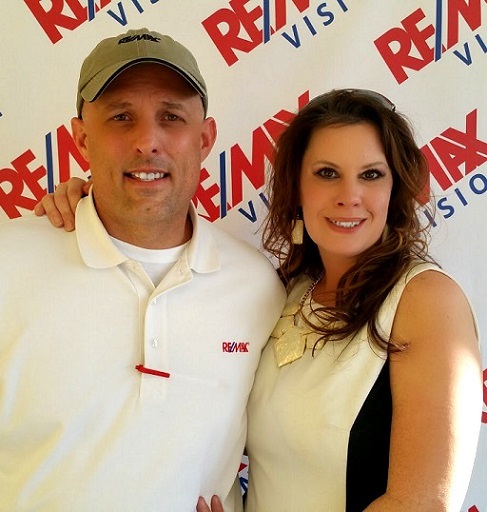 For the past few years, my team at RE/MAX Vision in Hutto, TX has been teaching a class, “Successfully Buying HUD Homes” in our office every first Tuesday of each month. This class is designed for the home buyer and/or real estate investor, looking to purchase a property and get a great bargain. Participants learn the process that must be used to purchase HUD homes. An overview of the HUD sales contract, the bid process, bid results and statistics is also reviewed. The following are frequently asked questions concerning HUD properties. Where do HUD Homes come from? When someone with a HUD insured mortgage can’t make the payments, the lender forecloses on the home. HUD pays the lender the balance of the loan, and then HUD takes ownership of the home. HUD then sells the home at a discount as quickly as possible. Some of the advantages are the fact that the government guarantees the title is clean. You also can actually visit the property and once under contract you are allowed a small time frame to order and review a home inspection so you know exactly what you are buying. What kind of condition are HUD Homes in? They vary from excellent condition with no repairs required, to needing various repairs including, foundation repairs, fixtures and appliances may need to be replaced because they could be missing,. However, the list price reflects the fact that the buyer will have to spend some money on repairs. HUD Homes are sold “As-Is”, without warranty. HUD will not pay for any repairs. How do you buy a HUD home and can anyone buy HUD Homes? To buy a HUD home you must place a bid, which requires an agent that works under a HUD registered broker. Once you have won a bid you have 2 business days to have your earnest money, purchase contract, prequalification letter and or proof of funds turned into the HUD office. In the event that the HUD office does not have everything required within 2 business days, the home goes back on the market for bidding. Do HUD Homes sell for market value? Yes & No - HUD lists the home at market value. However, the asking price is not always what the property sells for, depending on the bids that are received. How do I find and bid on a HUD Home? You need to get with a realtor that is under a certified HUD broker. Ask them to take you to view the properties you are interested in and determine the bidding period you are eligible to bid in. Once you decide on a property, your realtor will electronically submit your bid for you. If your bid is acceptable to HUD, your real estate agent will be notified, usually within 48 hours. Where do I get a list of HUD Homes that are available? www.HUDHomeStore.com to view the most accurate list of homes available. Can you view HUD Homes prior to purchasing & do you need an agent? Yes, you can view the homes with your real estate agent. Your real estate agent must submit your bid for you. Remember, your real estate agent must work under a registered HUD broker. Once I win a bid what is the process to close? Your Real Estate agent will help you through the process. The signed contract, earnest money check, and pre-qualification letter must be delivered to HUD within 48 hours after your offer is accepted. You will be given a settlement date, usually about 45 days, by which you must obtain your financing and actually close the sale. If you are paying cash you will be given a 30 day time frame to close however you may close sooner. If you do not close within the required time-frame, you forfeit your earnest money deposit, if you have not filed an extension of your sales contract. Can a HUD Home be financed or does it have to be paid for by cash? Yes a HUD home can be financed. However, make sure you are pre-approved for a loan prior to placing a bid. There are a few things you will want to verify before using a particular lender for a HUD property; Verify they have done HUD loans in the past and are VERY familiar with the process required by HUD. Also verify that the property’s insurability before placing a bid. What happens if I can’t get my financing completed within the 45 days to close? You can file an extension to get your financing completed for a small fee, if not you will lose the home and it will go back up for bid. You will also forfeit your deposit money. All RE/MAX Vision agents are HUD trained and have sold many HUD homes over the years. Our team is very familiar with the HUD process and has relationships with other vendors that also work with HUD contracts. You can make your HUD Home purchase a much less stressful buying experience by using people that know the HUD process well. If you or anyone you know is interested in learning more you can call or contact our office any day of the week!